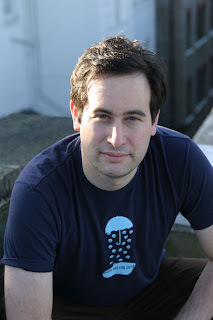 If you write for teenagers - or if you represent authors who write for teenagers, or edit books for teens, sell them, loan them or otherwise have an interest in teen literature you really have to listen to David Levithan's speech on homophobia and getting books out to the kids who need them. It stuns me that in 2007 kids don't have access to a wide variety of books featuring gay characters or other characters that don't fit inside the traditional gender or heterosexuality molds. The relentless homophobia and sexism I see in mainstream media stuns me - every day. And let's not leave out racism (have a look here for an example of the prejudice our society finds acceptable in an action hero). Discrimination is mind-numbingly commonplace. I'm keen to read C.J. Pascoe's book Dude, You're A Fag: Masculinity and Sexuality in High School which apparently links homophobia with a hostility for femininity in general. While the mainstream dictates such narrow scripts for us all to act out (dependent on our gender, race, sexual orientation, etc.) none of us can feel free to be who we really are. So, like David Levithan urges, we must fight to get the books kids need on the shelves. That may mean confrontations - possibly confrontations upon confrontations - but if we want a better, more tolerant world, what choice do we really have?